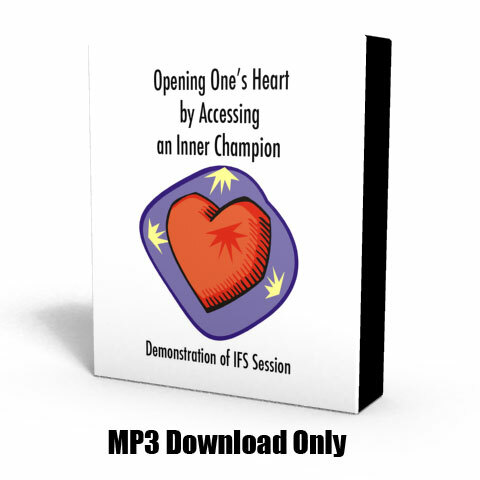 This is a lovely session in which someone is working on getting to know a Protector that is afraid of opening her heart with people. She evokes a healthy capacity of openhearted love, which then morphs into other Self capacities. She spontaneously invokes her Inner Champion to help her.